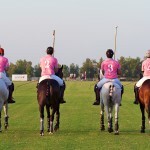 Ghantoot Racing & Polo Club will host the third renewal of the Pink Polo breast cancer awareness day on Saturday November 10, 2012, event organisers have confirmed. Presented by Abu Dhabi Commercial Bank (ADCB), Pink Polo is the conclusion of Health Authority Abu Dhabi’s National Breast Cancer Awareness Campaign and uses competitive sport to promote a life-saving message. Thousands of spectators attended the family day over the last two years, and the third instalment of Pink Polo will prove bigger and better than ever. Carrie McNeill, founder of the event said: “Breast cancer is the most commonly diagnosed form of the disease in the UAE and Pink Polo highlights the importance of regular self-examination and early diagnosis” She added “Sport is proven to be a powerful vehicle for social change and community action. Through Pink Polo, companies and brands can combine a sponsorship investment but also benefit from supporting a cause that really makes a difference”. Abu Dhabi Commercial Bank has been confirmed as presenting sponsor for the third consecutive year, while St Regis Hotels & Resorts has become team sponsor. This marks the five star luxury hotel brand’s growth in the region with the opening of two resorts in Abu Dhabi and one in Doha. Commenting on the upcoming event, Martin Scott, Chief Marketing Officer at ADCB, said: “Pink Polo helps break down social taboos surrounding the discussion of what could be a sensitive issue through fun and accessible means. Breast cancer is not just a women’s issue, this disease affects whole communities regardless of gender, culture or background and it has been great to see so many people and companies help promote the message”. He continued “ADCB are very happy to be the presenting sponsor of Pink Polo for the third year and pledge our support to this worthy cause”. St. Regis Hotels & Resorts, the official team sponsor at the charitable polo match. St. Regis brand has been associated with the world of polo since the beginning of the twentieth century when polo matches were the highlight of the New York social calendar and where St. Regis’ founding family, the Astors, were a prominent fixture. With three hotels debuting in the Middle East – The St. Regis Saadiyat Island Resort, The St. Regis Abu Dhabi and The St Regis Doha – St. Regis is thrilled to see this social tradition manifest around the world among a new generation of affluent travelers. 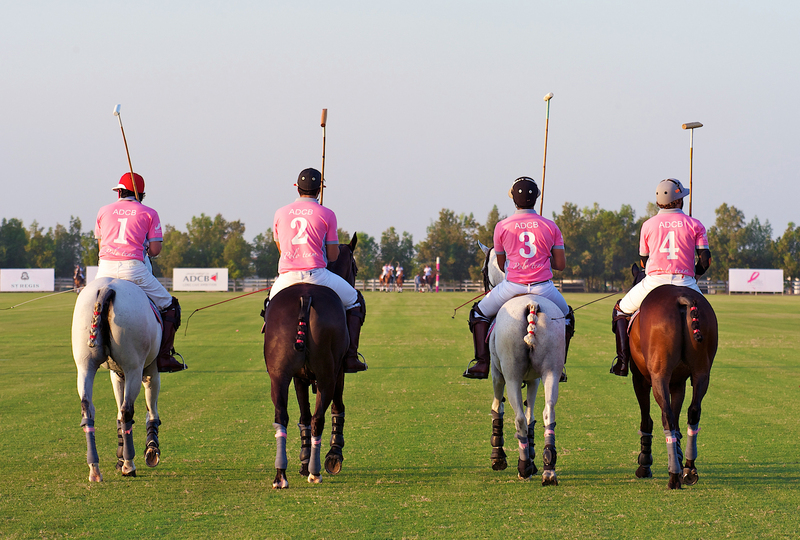 Pink Polo is fun family day centred around an exhibition polo match, showcasing high-goal Argentine professionals alongside accomplished Emirati players. Pink Polo also hosts the Pink Majlis, a focal point for breast cancer information where guest can meet medical experts and sign up for free screening. There are also prizes for Best Dressed, photo opportunities with players, free family activities, picnic areas and much more. Pink Polo’s official partners are ADAC, Etihad Airways, Omnia and Roche, and supported by Abu Dhabi Sports Council, Ghantoot Racing & Polo Club and Health Authority Abu Dhabi. The event takes place on Saturday November 10 at Ghantoot Racing & Polo Club, ideally located between Abu Dhabi and Dubai by Exit 399.